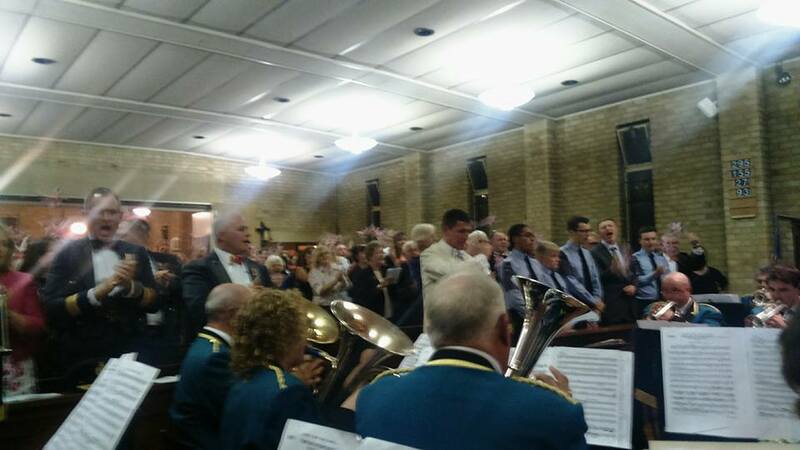 The band performed at the annual event at RAF Biggin Hill airbase on Saturday 10th September. The rain during the afternoon unfortunately lead to an indoor verison of the usual sunset ceremony and a cancellation of the Spitfire fly-past, but it was still well received by the cadets and the rest of the audience. After the usual delicious bbq (and a break in the rain! ), we sat down for the evening concert in the chapel. 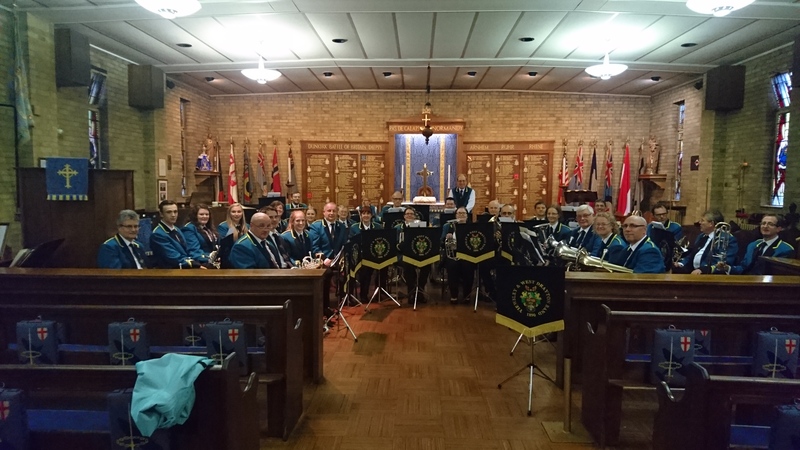 The concert featured some last night of the proms style pieces, including Jerusalem and Pomp and Circumstance, and some readings throughout from Cadets about the Battle of Britain and the role RAF Biggin Hill played in this. The night ended withan encore of ‘Those Magnificent Men on their Flying Machines’! The band always like playing this event and we look forward to going back next year too!